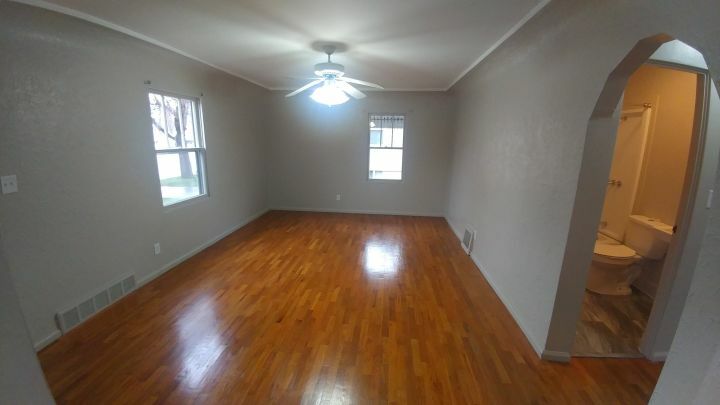 Freshly remodeled 2 bedroom, 1 bathroom house. NEW metal roof. NEW interior paint. NEW flooring in the kitchen and bathroom highlighted by original wood flooring in the living room and both bedrooms. NEW electrical service. NEW blinds throughout along with NEW washer / dryer hookups in the basement. Includes a 1 car detached garage in the front and a carport with alley access in the back. Video & pictures coming soon.